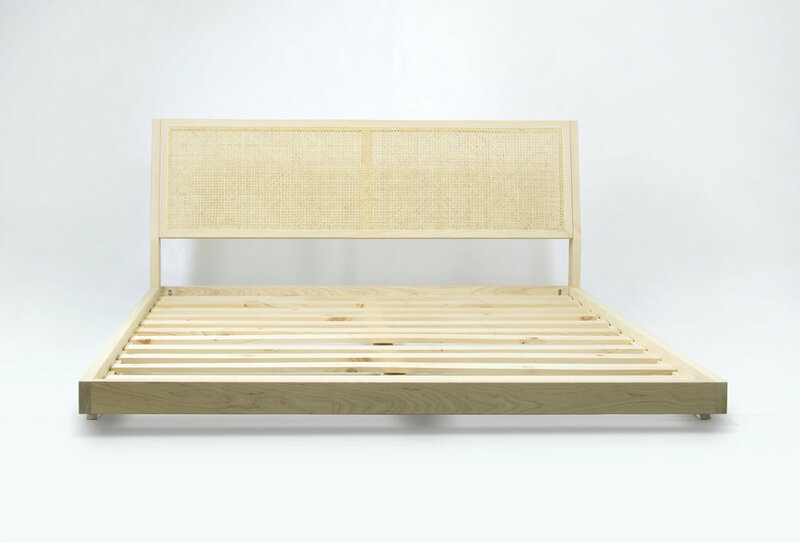 The Brotherton Bed is handmade to order, and can be sized for any matress. Pictured for a California King , in ash wood with white pigmented oil finish and natural reed cane. Made with simple yet robust knockdown hardware, the frame assembles in minutes and ships flat for easy installation. Made by hand with solid hardwood, this bed will make any bedroom stand out for generations to come. Also available in Walnut, Cherry and Maple. Custom sizes upon request. Contact us for information and pricing.